Kiki Bertens moved into the WTA Finals last four as Naomi Osaka retired from their round-robin match in Singapore due to a left leg injury. A wonderful season for Naomi Osaka ended on a low note as the US Open champion exited the WTA Finals after retiring from her final round-robin match against Kiki Bertens, who is now through to the last four. After losing her first two matches in Singapore, Osaka needed to beat Bertens to have a chance of making the semi-finals but was clearly discomforted by an injury to her left leg. , meaning her opponent - the lowest-ranked player in the event - is guaranteed to progress from the Red Group with a 2-1 record. "It's never nice to win a match like this, so I hope she's feeling better soon," said Bertens after a tearful Osaka had confirmed she was unable to continue. Osaka began the match with her upper left leg heavily strapped, but was nevertheless competitive early on, her powerful serve proving a typically potent weapon. 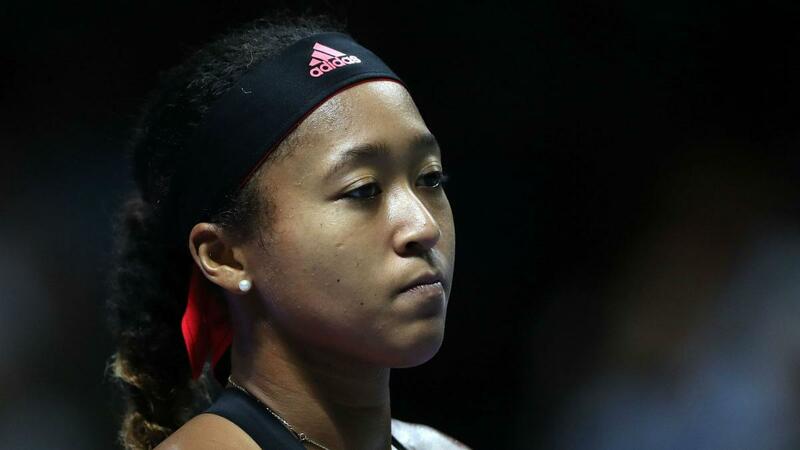 However, Osaka threw in a sloppy game to be broken for 4-3 and then revealed she was in pain during a changeover chat with her coach, Sascha Bajin. The 21-year-old went on to call for a medical timeout after losing the next game and returned with even more strapping on her injured leg. Osaka initially attempted to continue, but it was clear she could not move freely and she conceded defeat having been broken to love to give up the first set. Osaka with an MTO down 3-5 in the 1st against Bertens. Her leg is hurting, as it had been in her last match as well . Bertens  bt Osaka  6-3 Ret.